There have been several exciting developments at MarineParents since our last newsletter! In this issue, we acknowledge a HUGE donation to MarineParents from J&S Restaurants and Hardee's. J&S is a second generation family-owned business based in Cleveland, TN. Also in this issue, we congratulate PHHS West Coast Manager Joyce Orrell and her husband Curt, who received recognition at the Marine Corps League "Veteran of the Year" luncheon Nov. 9th in San Diego. 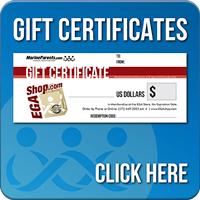 Joyce, we know you aren't crazy about being publicly thanked, but everyone should know how special you are. Thank you for everything you do. You'll find a story about a Marine who has adopted his old partner, and you'll hear about a New York Eagle scout who collected 680 lbs. 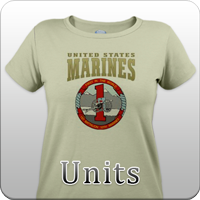 of goods for Marines serving overseas. 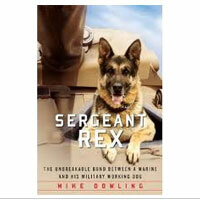 We also have information on the Commandant's Reading List, which every Marine should know about. 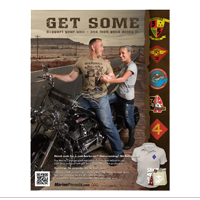 And we offer an idea about how you can get outdoors, have fun, and help support our troops at the same time. Purple Heart Hero Support™ West Coast Manager Joyce Orrell was honored Friday, November 9th at the annual Marine Corps League "Veteran of the Year" luncheon in San Diego, CA. Joyce and her husband Curt were recognized for their tireless work supporting Wounded Heroes at the Naval Medical Center, San Diego. For the last 5 years, Joyce has been working with PHHS to provide hot meals and support for families with a wounded son or daughter hospitalized at the Balboa Naval Medical Center. 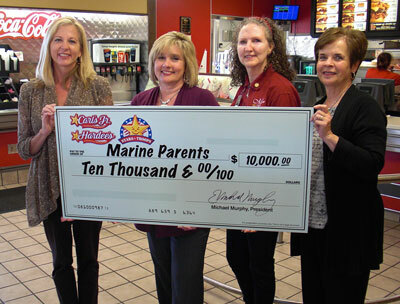 MarineParents.com, Inc. has received a check for $10,000 from J&S Restaurants, representing money donated during Hardee's spring "Stars for Heroes" fundraising drive. Customers at participating Hardee's restaurants purchased paper stars by adding an extra dollar to their order. The walls of Hardee's restaurants nationwide soon became covered with stars. J&S Restaurants is a family business with over 40 Hardees franchises across Southeast Tennessee and Northeast Georgia. We would like to say thank you to J&S Restaurants, Hardee's, and all the individuals who helped make this outstanding donation to Marine Parents. As an Eagle Scout Service Project, a boy scout in Glen Head, NY, just outside of New York City, spent 200 hours organizing a drive to collect goods for care packages to be sent to troops overseas. His efforts were successful, and he now has two 4 ft pallets of goods, weighing 680 pounds, awaiting delivery to MarineParents Headquarters in Columbia, MO. Unfortunately, a prior arrangement MarineParents had in place to ship these goods has fallen through, so our scout has all of these items sitting in his garage! 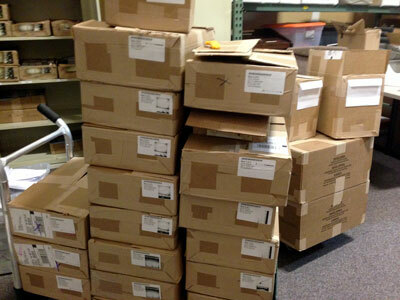 Our next pack day is January 19, 2013. If you know of anyone in the shipping industry who could help us get these items from NY to MO, please call MarineParents at (573) 449-2003. 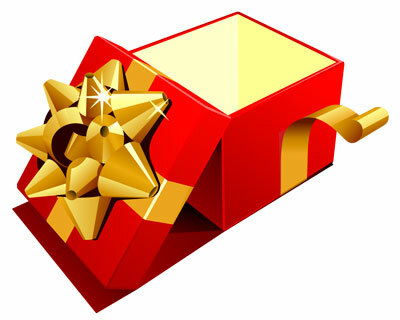 Or, if you would like to donate to The Care Package Project to support this shipment, please click here to donate and select "Care Package Project Shipping Fund." 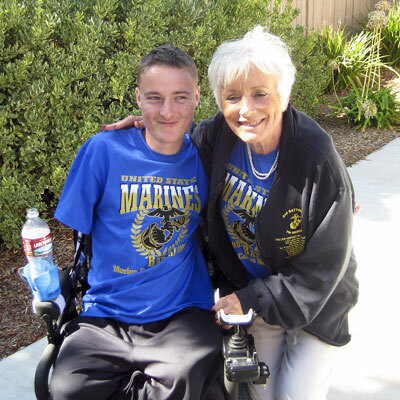 The time has come for charity organizations like MarineParents to reserve spots in the 2013 Marine Corps Marathon/Half Marathon. These events typically sell out within hours of registration opening, so this year we are reserving spots in advance. If you are already a runner, help us support our troops and join us at the MCM next year. 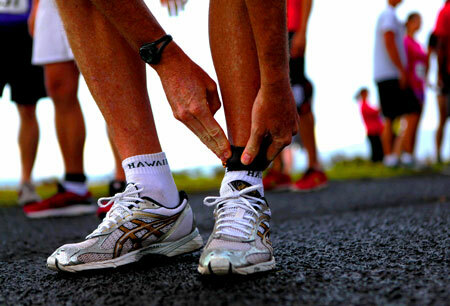 And if you aren't a runner now, and you want to get fit, use this as an opportunity to change your life and join us in 2013. Marine Gage LaMothe uncovered many explosive devices with his partner Willy the bomb-sniffing dog during his tour in Afghanistan in 2011-2012. Honorably discharged after his 3rd tour of duty, LaMothe filled out paperwork to adopt Willy, but didn't expect to be driving across the U.S. to pick him up quite so soon. Reminder: You can generally count on it taking up to 2 weeks for packages to arrive at your Marine's base station, including FOBs (Forward Operating Bases). We recommend Priority Mail for all APO/FPO shipping of parcels. Remember flat rate boxes from the post office are most likely your best deal. For Hanukkah and other holidays, ship Priority Mail at least 2 weeks prior to your desired arrival date. The banner photo is a Marine Corps photo taken 11/15/2012 By Sgt. Anthony Carter. A Purple Heart and two Bronze Star medals are displayed at U.S. Marine Corps Forces, Special Operations Command headquarters before being awarded posthumously to the family of Gunnery Sgt. Jonathan W. Gifford aboard Camp Lejeune, NC Nov. 15. Gifford, who was killed in Afghanistan in July, was honored with two other fallen MARSOC Marines and a Sailor during a celebration of life ceremony, where friends, families and fellow servicemembers gathered to pay tribute to those who had paid the ultimate sacrifice.